Our latest feature addition is SLA Management*, available exclusively on the Enterprise Edition. 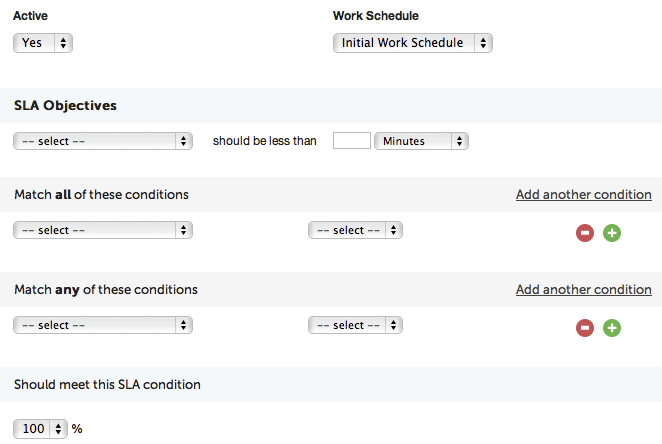 Individual SLAs, each with its own specific set of conditions and objectives can be created and linked to individual work schedules, ensuring that your SLA timelines are calculated over relevant working hours. 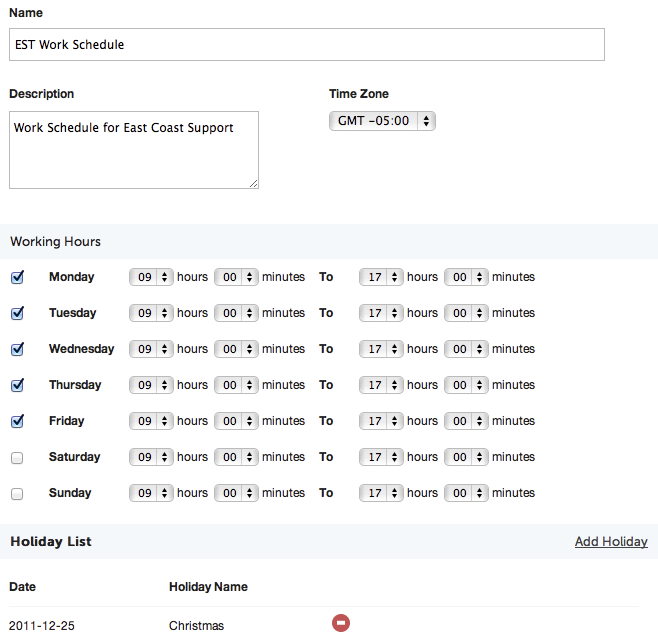 Single or multiple work schedules can be defined to cover the working hours of your help desk as well as a relevant timezone. This is extremely useful if you provide support across international regions (and, therefore, timezones). Tickets that breach the SLA will be marked with a red exclamation mark; visually, this serves as a clear and immediate indication that a specific action is called for, as an SLA has been breached. For a broader perspective, an SLA Performance Report is now available along with each report that you create. SLA metrics and stats on goal objectives will be clearly indicated and in the event that a breach has occured, the relevant tickets that caused the breach will be displayed. With this feature, Helpdesk Pilot now allows you to cater to in-house and end-user specific SLAs as part of your support services. SLA Management is available for evaluation on our free, full featured trial. Sign up now! This entry was posted on Tuesday, October 11th, 2011 at 11:47 am	and is filed under Helpdesk Pilot. You can follow any comments to this entry through the RSS 2.0 feed. You can leave a comment, or trackback from your own site.